The Indian real estate market has been steadily evolving. This is particularly true in the category of affordable homes targeted towards the ‘Great Indian Middle Class’. The aim of this article is to analyse the evolving phase of the Indian Real Estate Market. Existing market trends are demonstrating that 2015 will be nothing less than a landmark year for the recovery and growth of affordable housing units. Pricing has always remained a vital factor in Indian real estate and an increase in affordable residential units will result in higher levels of absorption. The residential property market, can be divided into the luxury segment, mid-level priced houses and affordable housing units. An increased demand for low cost properties is likely to put the pressure on the luxury housing segment, but it would not be that significant. In the current year, builders are set to focus on clearing backlogs, meeting construction deadlines, and working towards recovery of inventory. 1. About 7000 affordable housing units have been launched by the developers in the current quarter as opposed to a figure of 1,670 the previous year. Out of these numbers, approximately 60% of such affordable homes were constructed in the National Capital Region alone. 2. The government has laid a very strong emphasis in the category of affordable housing units. Due to the rapid increase in the number of Indian middle class families, there has been a huge surge in demand for affordable housing units throughout the country. 3. The government of Haryana has come out with an affordable housing policy which has led to a large volume of low-cost projects in Gurgaon. The Delhi Development Authority has also come up with an attractive housing scheme that has received a positive response from a large number of home-seekers. 4. 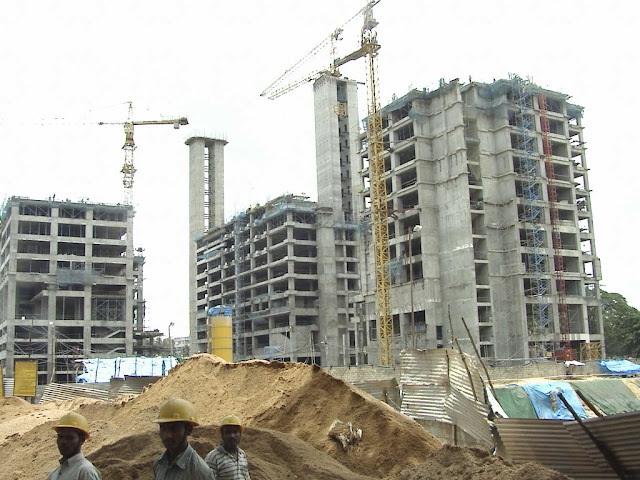 All categories of housing projects in Delhi-NCR saw a remarkable 144% rise, with about 6,900 new housing units. As you can see, there is a considerable increase in the demand for affordable housing units which most builders are capitalising on right now. Real estate markets in Sohna, Yamuna-Expressway, and Noida Extension are the new preferred housing destinations in Delhi-NCR. In June 2015 itself, 4 new projects in the price range of Rs. 30 Lakhs to 50 Lakhs were launched in Noida Extension and Sohna. Though the Reserve Bank of India has slashed interest rates thrice in the current year, banks have not been forthcoming in passing the benefits to their customers. A study conducted by Knight Frank India and FICCI showed that for the very first time, the number stakeholders in the real estate sector shifted to a negative zone since the new government came to power in 2014. It should also be noted that there was a decline of about 14% in the figures of newly launched housing projects in the first half of 2015. The increase in the number of affordable housing projects indicates that there has been a consistent effort to align demand with supply. However there is a big backlog and it’s imperative that authorities cut down the time taken for getting relevant approvals and completing the construction of such projects. The government has an important role of expediting this process. The central and state governments should explore Public-Private Partnerships to develop and provide affordable living spaces to the public. This can be also lead to a lot of savings for many people looking to invest in their first home.